These Terms form the agreement under which we will supply products to you. Please read these Terms carefully. If you have any questions, please contact us using the contact details below, before you purchase products from us. You accept our Terms by making a purchase or ordering from us. Your acceptance of the Terms indicates that you have had sufficient opportunity to access these Terms and contact us, that you have read, accepted and will comply with these Terms, and that you are 18 years or older. If you do not agree to these Terms, you should not purchase from us. You may order from us as set out on the Site or via phone, email or fax. We may at our discretion accept or reject an order depending on factors including availability of products and our ability to validate payment for the products. It is your responsibility to check the order details, including product/service and pricing, before you complete your order on the Site or via phone, email or fax. We will provide you with order details, which may include an order number, an order ID, the shipping and billing addresses and a description of what was ordered, when you order. A binding agreement comes into existence between you and us once we have given you an order number. No changes to these Terms will be effective unless we both agree to the changes in writing. You agree to pay the purchase price and deposit specified on the Site, or notified via phone, email or fax or invoice at the time that you place your order for the purchase of a product, plus any applicable delivery charges based on the delivery options selected by you. All amounts are stated in Australian dollars. All purchase prices include Australian GST (where applicable). Any delivery charges will be separately shown or advised to you. The price payable will be the highest price listed by us, unless a lower price has been negotiated between us and you and this price has been approved by us in writing. We reserve the right to correct prices of products and/or freight/delivery costs if they have been incorrectly specified on the Site, or via phone, email or fax or an invoice. You must pay for the products either upfront or on account (if you have been approved for a credit account via our Credit Application Form). Your payment will be processed upon receipt of your order if you are paying upfront. You must not pay, or attempt to pay, for an order through any fraudulent or unlawful means. If your payment is not able to be successfully processed then your order may be cancelled. failing any notice to the contrary, the date which is 30 days following the date of any invoice given to you by us. Payment may be made by cash, cheque, bank cheque, electronic/on-line banking, credit card (plus a surcharge of up to 3.5% of the price) or by any other method as agreed to between you and us. We will retain any non-refundable deposits notified to you at the time of ordering, if you do not proceed with the final payments. If you purchase on credit terms, all invoices must be paid within 30 days of delivery of products. We may charge interest at the rate of 2.5% per month on any amounts unpaid. If you do not pay by the due date, we have the right to engage debt collection services for the collection of unpaid and undisputed debt, and the right to commence legal proceedings for any outstanding amounts owed to us. All costs and expenses associated with collecting your overdue amounts, including (but not limited to) our legal fees (including disbursements and collection agency fees) and internal costs and expenses, are to be paid by you as a debt due and payable under these Terms. You have no entitlement to credit unless, in our sole discretion, we extend credit to you. We reserve the right to, at any time and for any reason at our sole discretion, refuse the supply of any further goods to you on credit terms. This applies regardless of whether we have allowed you to purchase goods on credit at any particular time. If at any time we refuse to grant you credit for the purchase of goods, this refusal does not affect the credit terms applicable to any amounts you owe us for previous purchases. If you fail to comply with these Terms or fails to pay any amount to us when due, or you become insolvent or bankrupt, the balance of your account will become due and payable immediately. You will not be entitled to set off against, or deduct from the price, any sums owed or claimed to be owed to you by us nor to withhold payment of any invoice because part of that invoice is in dispute. You must cover insurance for both transport, and storage of your goods by you. We will not insure goods from the point they leave our warehouse unless by prior written agreement between you and us. All purchases made with us are subject to availability. We do our best to keep in stock most products and to keep the Site and our systems up to date with availability of products. We may substitute products of the same quality, purpose, and type, as necessary. If this is not possible we will contact you using the contact details provided by you when you placed the order. You can choose a refund, store credit or to put your order on back-order. If you choose a refund or store credit, any delivery costs you have paid for the product will be refunded to you. If you choose to put your order on back-order, we will contact you to arrange for supply/delivery once the product is available (as the case may be). If you no longer require a back-order you must notify us immediately. Please refer to the delivery information on the Site or with our staff to check that you are in our delivery area. If you are not in our delivery area please contact us to discuss delivery options. A delivery fee will apply, as set out on the Site or notified to you when ordering products from us. Any delivery periods displayed on the Site or notified to you are estimates only, based on the information provided by the delivery company. We will deliver the product to the place of delivery you specify when making your order. You may cancel an order for the products prior to the dispatch of our products with our written permission. On cancellation we will refund to you any amount paid by you for the products minus and costs we have incurred (whether direct or indirect) as a result of the cancellation which includes loss of profits. Special or custom made orders may only be cancelled prior to production commencing or an order being placed. If you need to change a delivery date or the delivery address, please contact us as soon as possible to see if this is possible. If you are not available to take delivery on the agreed delivery date, you may be charged a delivery fee for each additional attempt for delivery. We may deliver the products via a range of delivery methods. All deliveries must be signed for. Delivery of the goods is taken to occur at the time that you or your nominated representative takes possession of the goods at your address or we (or our nominated representative) delivers the goods to your nominated address even if you are not present at the address. If neither you nor your authorised representative is at the delivery address to accept delivery you will be notified, generally by the delivery company leaving a card with contact details, so that you can arrange another delivery time and date. Title in the products will not pass to you until the later of delivery, or your payment has been processed or otherwise received by us. If your payment is declined for any reason we reserve the right to reclaim the products from your possession, custody or control even if they have been delivered to you or moved from the delivery address. We reserve the right to keep or sell the products and request that you return them. Risk of loss, damage or deterioration to any products will pass to you once the product is delivered to the address you provide. You must hold the benefit of your insurance of the goods on trust for us and must pay to us the pay out of any insurance in the event of the goods being lost, damaged or destroyed. You must not sell, dispose, or otherwise part with possession of the goods other than in the ordinary course of business and for market value. If you sell, dispose or part with possession of the goods then you must hold the proceeds of any such act on trust for us and must pay or deliver the proceeds to us on demand. You must not convert or process the goods or intermix them with other goods, if you do so then you must hold the resulting product on trust for the benefit of us and must sell, dispose of or return the resulting product to us as we so direct. We may recover possession of any goods in transit whether or not delivery has occurred. You must not charge or grant an encumbrance over the goods nor grant nor otherwise give away any interest in the goods while they remain our property. We may commence proceedings to recover the price of the goods sold by you notwithstanding that ownership of the goods has not passed to you. You acknowledge and agree that each agreement for supply on credit terms which you obtain with us, constitutes a Security Agreement for the purposes of the Personal Properties Securities Act 2009 (Cth) (PPSA) and that we will register its security interest, which is created by virtue of the retention of title provisions set out above, in the relevant products and in the proceeds of sale of the goods on the Personal Properties Security Register (PPSR). You acknowledge, that in the event of default by you, we may exercise any and all remedies available to us as a Secured Party under Chapter 4 of the PPSA including, without limitation, entry into any building or premises owned, occupied or used by you, to search for and seize, dispose of or retain such products in respect to which you have granted a Security Interest to us. We may dispose of uncollected goods in accordance with the Uncollected Goods Act 1995 (NSW). We may from time to time offer promotional discount codes, which may be applicable to products on the Site or that are otherwise available, and must be entered or noted at the time of submitting your order. The conditions of use relating to any discount code will be specified at the time that it is issued. If the Parties cannot agree how to resolve the dispute at the Initial Meeting, any Party may refer the matter to a mediator. If the Parties cannot agree on who the mediator should be, the complainant will ask the Law Society of New South Wales to appoint a mediator. The mediator will decide the time and place for mediation. The Parties must attend the mediation in good faith, to seek to resolve the dispute. Any attempts made by the Parties to resolve a dispute pursuant to this clause are without prejudice to other rights or entitlements of the Parties under these Terms, by law or in equity. Certain legislation including the Australian Consumer Law (ACL) in the Competition and Consumer Act 2010 (Cth) and similar consumer protection laws and regulations may confer you with rights, warranties, guarantees and remedies relating to the provision of services by us to you which cannot be excluded, restricted or modified (Statutory Rights). If you are a consumer as defined in the ACL, the following notice applies to you: "Our goods and services come with warranties and guarantees that cannot be excluded under the Australian Consumer Law (Consumer Guarantees). You are entitled to a replacement or a refund for a major failure and for compensation for any other reasonably foreseeable loss or damage. You are also entitled to have the goods repaired or replaced if the goods fail to be of acceptable quality and the failure does not amount to a major failure. You are also entitled to have services remedied if they are not rendered with due care and skill or they are not fit for purpose and the failure does not amount to a major failure." Nothing in these Terms excludes your Statutory Rights as a consumer under the ACL. You agree that our liability for goods provided to a person or entity defined as a “consumer” under the ACL is governed solely by the ACL and these Terms. We exclude all conditions and warranties implied by custom, law or statute except for your Statutory Rights. Except for your Statutory Rights, all material and work is provided to you without warranties of any kind, either express or implied, and we expressly disclaim all warranties of any kind including but not limited to implied warranties of merchantability and fitness for a particular purpose. Products may come with a manufacturer's warranty. The manufacturer's warranty is in addition to but may overlap with any rights and remedies you may have under applicable law, including any Consumer Guarantees. If you are not considered a "consumer" within the meaning of the ACL, the manufacturer's warranty may be your sole remedy. You should check the manufacturer’s warranty, as many manufacturers' warranties do not apply in a business or commercial setting. Please contact the manufacturer if you would like to make a claim under the manufacturer's warranty. If you wish to seek repair, resupply, replacement or a refund for a product, please contact us and we will explain the requirements to you. This may include you providing proof of purchase and evidence of the faulty product to us. If you are not a consumer as defined by the ACL, you must submit any claim for incorrect shipments, faulty or damaged products within 5 business days of receipt of products. If you are entitled to a refund, we will only give you the refund once evidence of faulty product is received by us, or we have received the product at our warehouse and inspected it and assessed whether it is eligible for a refund under these Terms. Any refund we make will be by the same payment method used to purchase the product. Subject to this clause, we will not accept or return any product that has been used, connected, installed, attempted to be connected or installed, or if your product is custom-made or is a special buy product. You must adequately package any product you are returning for our collection to ensure that it is not damaged during return delivery to our warehouse. 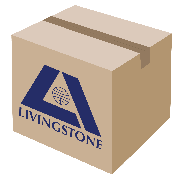 We will arrange for any products you want returned to be collected, usually within 5 business days. you warrant that you have all the necessary authorities, permits, licenses or other permissions necessary, pursuant to statue or otherwise, to lawfully purchase the products from us. While the information and material contained on the Site and in our materials is believed to be accurate and current, it is provided by us in good faith on an "as is" basis, and we and our directors, officers, employees, contractors and agents accept no responsibility for and make no representations or warranties to you or to any other person as to the reliability, accuracy or completeness of the information contained on the Site. Any recommendation or information is provided to you by us, our employees, and agents for the purposes of information only and is not intended to be legal, business, accounting or regulatory advice. You use and act on information provided to you strictly at your own risk. We accept no liability for any change or amendment to product specifications listed on our Site or in our materials. The use of such information and the conditions in which these products are used are beyond our control. It is your obligation to confirm the correct selection and use of these products. Pictures shown on our Site or in our materials are meant for illustrative purpose only. Legislation including the ACL and similar consumer protection laws and regulations may confer you with rights, warranties, guarantees and remedies relating to the provision of goods or services to you by us which cannot be excluded, restricted or modified. Our liability is governed solely by the ACL and these Terms. we expressly disclaim any implied or express guarantees, representations or conditions of any kind, which are not stated in these Terms. we will not be liable for any loss, damage, injury, death, costs including legal costs, or expense whether direct, indirect, incidental, special, consequential and/or incidental, including loss of profits, revenue, production, opportunity, access to markets, goodwill, reputation, use or any indirect, remote, abnormal or unforeseeable loss, or any loss or damage relating to business interruption, loss of programs or other data on your information systems or costs of replacement goods, or otherwise, suffered by you or claims made against you, arising out of or in connection with the Site, inability to access or use the Site, the products, the services, the late supply of products or services, or these Terms, even if we were expressly advised of the likelihood of such loss or damage. To the extent permitted by law, our total liability arising out of or in connection with the products, the services or these Terms, however arising, including under contract, tort (including negligence), in equity, under statute or otherwise, will not exceed the total price paid by you for the purchase of products and/or services under these Terms. These Terms may be amended from time to time; we will provide you with 14 days’ notice of the varied Terms. Your purchase from us following any such amendments will be deemed to be confirmation that you accept those amendments. If you have reasonable grounds to believe that the varied Terms will be detrimental to your rights, you may terminate these Terms without penalty within 14 days of receiving notice of the varied Terms. We recommend that you check the current Terms before purchasing a product. Our agents, employees and third parties do not have authority to change these Terms. You must give us 14 days prior written notice of any proposed change of ownership of your business and/or any other change in your details (including but not limited to, changes in your company name, address, contact phone or fax number/s, or business practice). You will be liable for any loss incurred by us as a result of your failure to comply with this clause. We agree to comply with the legal requirements of the Australian Privacy Principles as set out in the Privacy Act 1988 (Cth) and any other applicable legislation or privacy guidelines. While we endeavor to keep information up to date and correct, we make no representations, warranties or guarantee, express or implied, about the completeness, accuracy, reliability, suitability or availability of any information, images, products, services, or related graphics contained on the Site for any particular purpose. You hereby acknowledge that such information and materials may contain mistakes, inaccuracies or errors and we expressly exclude any liability for such to the fullest extent permissible by law. you commit a remediable breach of these Terms and do not remedy the breach within 14 days after receiving notice of the breach. If and when applicable, GST payable on our products will be set out in our invoices. By accepting these Terms you agree to pay us an amount equivalent to the GST imposed on these charges. These Terms are not intended to create a relationship between the Parties of partnership, joint venture, or employer-employee. We will not be liable for any delay or failure to perform our obligations under these Terms if such delay is due to any circumstance beyond our reasonable control. Any notice in connection with these Terms will be deemed to have been duly given when made in writing and delivered or sent by email, facsimile or post to the Party to whom such notice is intended to be given or to such other address, email address or facsimile number as may from time to time be notified in writing to the other Party. Any failure by a Party to insist upon strict performance by the other of any provision in these Terms will not be taken to be a waiver of any existing or future rights in relation to the provision. No waiver by us of any of these Terms shall be effective unless we expressly state it is a waiver and we communicate to you in writing. You must not assign any rights and obligations under these Terms, whether in whole or in part, without our prior written consent. We may assign, or subcontract all or any part of our rights and obligations under these Terms without your consent. These Terms and any document expressly referred to in them represent the entire agreement between you and us and supersede any prior agreement, understanding or arrangement between you and us, whether oral or in writing.